Local Authority Building Control (LABC) is a not-for-profit, member organisation, representing all Local Authority Building Control teams in England and Wales. LABC members ensure that all buildings are safe, dry, efficient, healthy and accessible by promoting, supporting and enhancing compliance with the building regulations. It has more than 3,000 professional local authority surveyors and building technicians providing a consistent national service that is delivered at a local level. 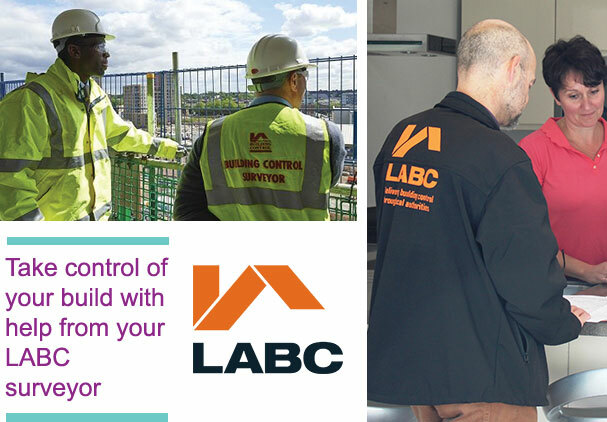 LABC members provide building control and approval services to homeowners and the building industry, working proactively to help keep things on track and avoid costly mistakes. They also have the power to enforce standards if things go wrong, offering support and protection for homeowners and consumers. LABC strives to improve standards in the building industry by developing the skills and expertise of members and others in the building industry through training, events and regular updates. If you're a homeowner looking for more information about how LABC can help you please click here.